Do you have a preference for Old World or New World wine? It’s easy to stereotype in wine; while there are always, always exceptions, more often than not, generalizations about these wines do tend to be true, which is why they make such great guidelines, especially when used during wine tastings in regards to varietals and regions. 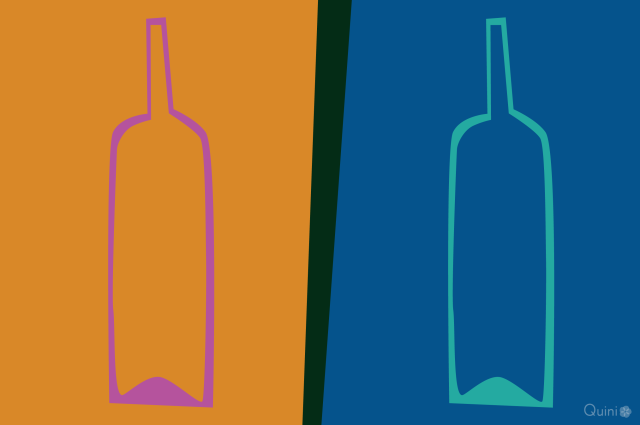 If you’re not sure which you may prefer, here are some helpful generalizations about two of wine’s biggest groupings. But old or new, the thing to remember is that the wines you might find compelling for you depends on your personal palate and nothing else. Let that be your guide on your ongoing wine tasting discovery. Old World wines are steeped in tradition, the product of hundreds of years of cultivation and winemaking secrets passed down from generation to generation. Thanks to strict wine laws governing everything from planting to labeling, innovation is the exception, and the consumer usually knows exactly what they’re getting from a certain region, varietal, or producer. It’s impossible to taste Old World wines on your Quini app without using words like Aged or Earthy. Like sitting next to a bowl of ripe berries in an old library filled with first editions, these wines have a natural sweetness that is cloaked in a layer of mystery; call it “funk,” “barnyard,” or even “pungent,” but the rich, bottom notes of these wines are what give them the complexity, balance, and incredible finish. New World wines build on Old World traditions, applying time-honored techniques and wisdom to a wide range of climates, soils, and varietals. Relatively lax wine laws encourage experimentation, and finding a bottle of wine that defies a grape’s typical expression is not unusual. The idea that bigger is better is prevalent; it’s easy to find Cabernet Sauvignon with tannins big enough to chew through and Shiraz so inky it’ll have you searching for a quill and parchment. Fruit forward flavor profiles are a New World signature. When you’re tasting these wines on Quini, you’ll likely choose descriptors like Berry, Cherry, Chocolate or Anise. Earthiness still exists, it just lingers in the background like dust on your boots, albeit slightly more delicious. More often than not, white wines here are aged in oak. Yes, these are generalizations, but we’d like to know what your experience has been with Old World and New World wines. What kind of differences do you find?